Your credit score can make the difference between owning a home this month, and having to wait until next year to start looking. Credit scores play an important role for lenders to help determine if you qualify for a loan and the interest rate they give you. The most common misconceptions about credit scores debunked! Click to learn more. Lenders expect home buyers to have great credit before they offer a loan. But what if yours isn’t where you or the lender wants it to be? Although credit scores take time to improve, there are steps you can start taking right now to begin to improve it. Begin to set aside money to start paying off outstanding debt. 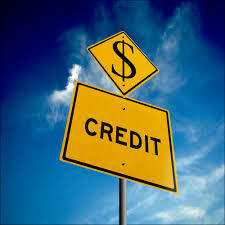 Use your credit score to determine how much you owe on each account and the interest rates they are charging. Devise a payment plan that allows you to budget towards the highest interest cards first. Download your free credit report and check for any discrepancies or errors that could be hindering your score. Double check that the amounts listed on the report that you owe match up correctly. If you do find errors on any of your reports, dispute them with the credit bureau. If you are notoriously late making payments, your credit score will never improve. The fastest way to get yourself back on track is to set up automatic payments. The quicker and longer you begin to pay your bills on time, the faster your scores should increase. Creating a good pattern of payments is crucial for improving scores. Stop opening accounts. New accounts will lower your “account age”, which will have a bigger impact on your scores if you don’t have a lot of other credit information. Remember, credit score is determined by payment history. If you’re opening up new accounts all the time, you don’t have history to build on. Plus, lenders view this as risky if they see you opening up new accounts often.